Many of us are more than ready for spring. Waiting out the weather is fine, by why not escape instead? Aside from the three delicious meals each day, the evening social hour, and the awesome horseback riding, what can you expect from a typical week at the ranch? Here is a peek into the awesome rides and activities. It’s just a sample of our many offerings and may change depending on the desires and riding abilities of our guests. Sunday: Arrive at the ranch after 4 p.m., unpack your duds, and take a walk around the beautiful grounds. For new guests, meet Diana at 6 p.m. for a quick orientation, then head over to the cantina for cocktail hour, where you will meet fellow guests. You’ll need to arrive at the corrals by 9 a.m. Make sure you have your water bottles and cowboy boots. Your first ride will be a walking ride. If you are a beginner you will spend some time in the round pen with your wrangler. You will return from your ride between 11:30 and 12, with plenty of time to freshen up before the 1 p.m. lunch bell rings. After lunch, you will want to be at the corrals by 2:15 if you are going on the afternoon ride. Take a dip in the pool when you return at 4:30, and get ready for our cocktail hour and Monday night cook out! Tuesday: Head down to the corals a little early today and we will take you to the arena for a lesson. 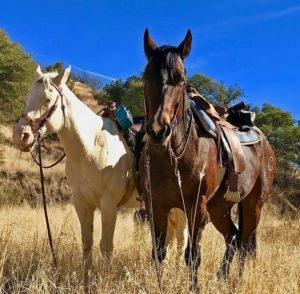 You will be done in plenty of time to take a trail ride where we explore the area nearer to the ranch, and offer morning and afternoon rides leaving the corrals at 9:15 and 2:15. Wednesday: After a hearty breakfast, meet our naturalist Vincent Pinto at 8 a.m. for a nature walk. He will have you back to the ranch in plenty of time to get to the corrals at 9:30. This is our picnic ride day. 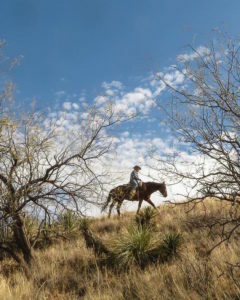 You will enjoy another scenic ride over to our Bar Z Ranch, where the wranglers will prepare your lunch. After lunch, we have a short calf-roping demonstration. On the way back to the ranch, there are opportunities for horse games, a long ride back to the ranch, or a ride straight back to the ranch. Depending on which ride you choose, you will get back to the ranch between 3 and 4 p.m. 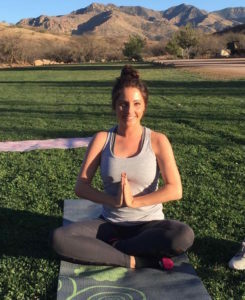 If you need a good stretch, Ashley will be leading a yoga class out on the lawn. Join out wranglers after dinner for a campfire, music, and s’mores at our campfire setting. Thursday: An all-day ride! Be down to the corrals by 9 a.m, and we will have a sack lunch prepared for you to pack in your saddle bags. The ride covers lots of scenic country. Make sure you bring plenty of water and an adventurous spirit. We arrive back at the ranch between 2 pm and 3 p.m. There is plenty of time for a trip into the shops in Patagonia, or a good book. After dinner, our naturalist Vincent will lead a tour of the night sky with his GPS telescope and laser pointer. During full moons, he leads a night walk looking for owls and other creatures of the night. Friday: Authentic Mexican food day. This is also a good day for a trailer ride to the San Rafael Valley. 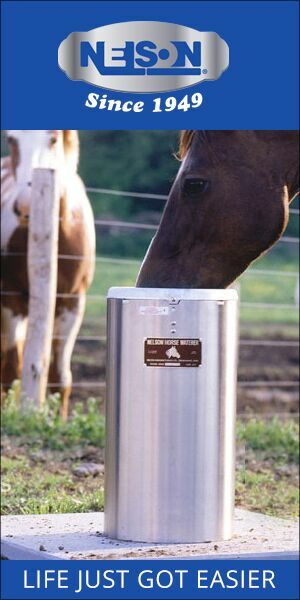 Meet out in front of the Lodge at 9:30 and we will transport you and your horse the 20 minutes to the Harshaw Valley. This ride returns to the trailer by 1 p.m. where the wranglers will serve you a delicious lunch. We typically return to the ranch by 2:30. 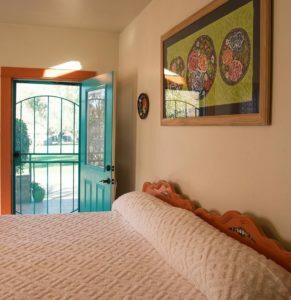 Paul Michelson will have his jewelry and rugs set up at the cantina for you to peruse. Saturday: Chuck-wagon ride day. During nicer weather, we depart from the ranch at 8:30, have breakfast at our chuck-wagon site, followed by our a three-hour ride after breakfast. During the cooler times, we leave the ranch at the usual time, have a 2-3 hour ride over to the chuck wagon site, and after lunch have either a ride straight back to the ranch (45 minutes) or a 2-3 hour ride. Saturday night at cocktails we celebrate an incredible week with our Cowboy singer. 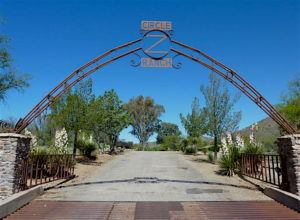 Check out Circle Z Ranch or visit their facebook page. Posted in Partners, Reviews and Links and tagged Circle Z, Dude Ranches, Ride in Arizona.